LA VERNE, California, December 7, 2017 — ‘Tis the time of year when mere mortals don the robes of Santa Claus, with his cheery, red velour suit and cap with white fur trim and black belt and boots. But dressing like Santa Claus, it turns out, is the easy part. How to actually master the role of being a good, professional Santa, well, that takes training. The best Santas aren’t born; they’re made. And nobody knows this more than 78-year-old Nat B. Reed, who among his many talents (historian, retired Navy captain, undercover vice squad cop, PR executive) trained department store Santas for 17 years when he was the West Coast communications and public relations director for Sears, Roebuck and Co. That was at a time when Sears was the No. 1 retailer in the world and accounted for 1 percent of the United States gross domestic product. “There’s a lot more to being Santa Claus than just saying, ‘Ho, ho, ho,” said the nattily attired, red-vest wearing Read, who is also known as the Dean of U.S.C. (the University of Santa Claus). “The cardinal rule of Santa Clausing is ‘Never promise anything,'” he said. Successful Santas also will know how to relate to different groups. “To be Santa Claus, you have to understand there are three completely different clienteles and which one you’re talking to,” Read said. “Two and three year olds are paralyzed with fear and fixated on an apparition they’ve never seen in life before, who wants to take them away from their mother. They are just terrified, terrified. “The second group,” he continued, “is the perfect group, these are the 5 and 6 year olds — the Art Linkletter kids who say the darndest things. This is where the art and artifice of playing Santa comes in. Read’s recommended reply for the “missing” sleigh is genius. 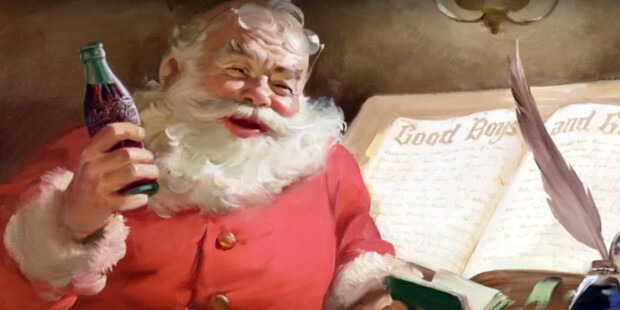 A rosy glow rushes to Read’s cheeks as he reveals more Santa tips. Another unmentionable: “Never say the word, ‘parents,’ as in, ‘Did you do everything your parents told you to do?’ You don’t know what a child’s circumstances are. They might be living with a grandmother or be in a foster situation. 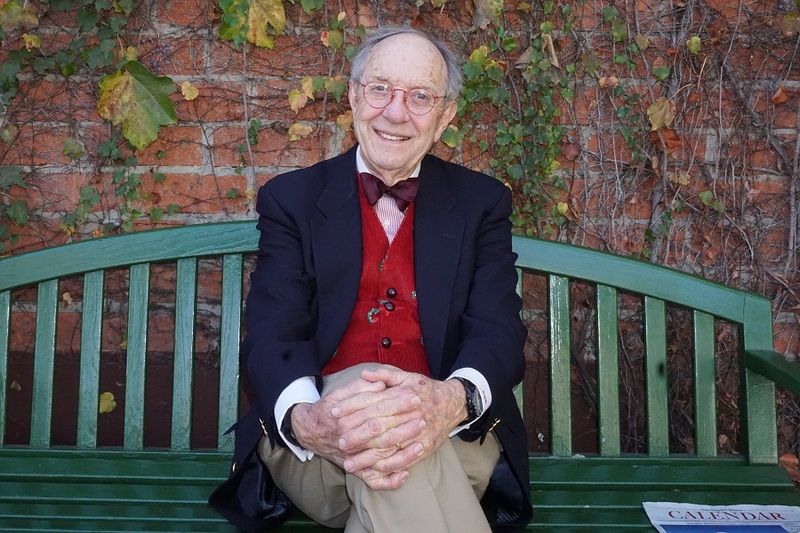 When Read was literally writing the book on the right Santa behavior, including scores of how-to-Santa articles that appeared seasonally in all the major magazines and dailies, from The Wall Street Journal to The Saturday Evening Post, he occasionally slipped on Santa’s suit, putting himself in Santa’s shoes as it were, to give his advice more authenticity and legitimacy. “You never lift a child on your knee,” Read said, adding yet another tip. “Otherwise, you will be at the chiropractor by the end of the day. Read’s advice ran deep, and touched on some realities that parents, guardians and human resources department should also be aware of. Although you could anticipate his answer, you didn’t want to hear it. Another unsavory cohort attracted to Santa Clausing, according to Read, are alcoholics. “Why does a person not have a job?” Read asks, letting the listener fill in the blanks. “Drinking is a a major thing that the personnel department has to guard against. Read explained how some Santas can unwittingly tip toward inebriation. Before putting on the suit at a big party, the scenario goes, they might have a couple of drinks and then when they go in the back room to change, they may, at some point, have a couple more. “Kids are going to smell the alcohol, so don’t drink,” Read reiterated. Although Read is a modern-day Emily Post when it comes to Santa Claus etiquette, he doesn’t want to be some sort of Santa Clause spoilsport. As a historian, with five books to his credit, he’d rather revel in Santa Claus’s rich, albeit, surprisingly brief history. One myth Read wants to correct is that Santa Claus is a European or, in particular, a Nordic invention. “Santa Clause may fly around the world on Christma Eve, but he flies on an American passport,” Read said. In particular, three Americans, Clement Moore, Thomas Nast and Haddon Sundblom, underscore Read’s claim. According to Read, Santa Claus flew into prominence after Clement Moore, a religious man, retreated to his New York study one wintry night in 1822 and penned the poem, “A Visit from St. Nicholas.” Santa Claus is the Dutch name for St. Nicholas. Thomas Nast’s more elf-like Santa. Although St. Nicholas was a relatively minor saint, St. Nicholas Day, celebrated on Dec. 6 in the bishop’s honor, became known as a day for sharing gifts. For his poem, Moore took artistic license and moved St. Nick’s gift-giving tradition to Dec. 25, the birthday of Jesus Christ. With the shift came the gradual secularization of Christmas. Until then, Christmas was a day and observance far less important than Easter. “People would go to Christmas services the same way they would go to a Good Friday or a Maundy Thursday (the day on which Jesus celebrated the Passover with His disciples, known as the Last Supper),” Read said. 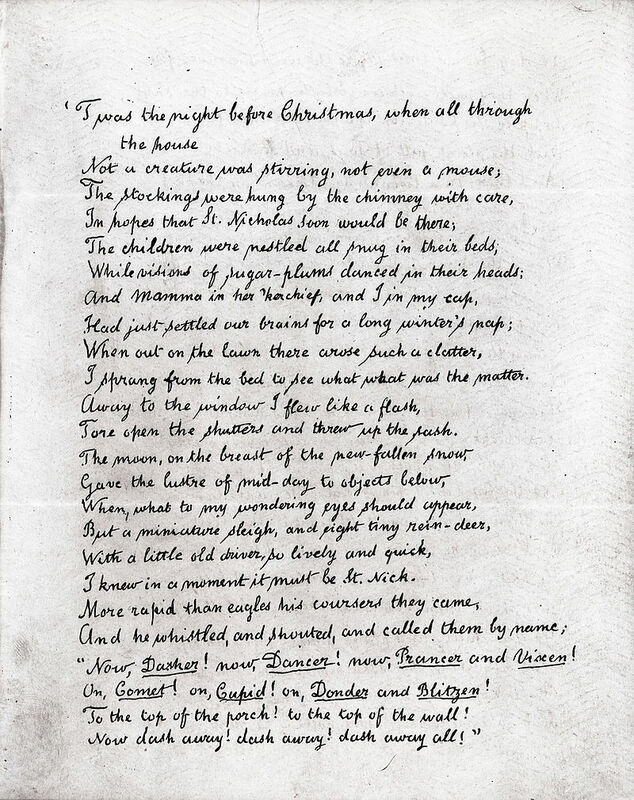 The poem, however, was largely responsible for creating our modern-day conception of Santa Claus, regarding his physical appearance, the night of his visit, his mode of transportation, the number and names of his reindeer, and his novel way of dropping in on his guests to deliver toys. 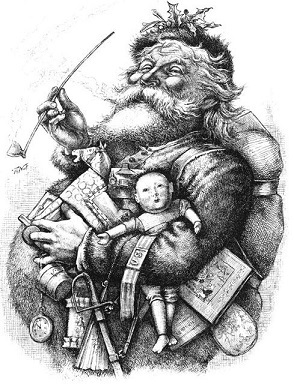 As time went by, cartoonist Thomas Nast continued to refine the portrait of Santa Claus. He added a North Pole home for Santa, a workshop for building toys and a large book filled with the names of children who had been naughty or nice. In all, Nast contributed 33 Christmas drawings to Harper’s Weekly from 1863 through 1886, and Santa is seen or referenced in all but one. But it was Haddon Sundblom in 1931, working for the Coca-Cola Company, who delivered the coup de grace — portraying Santa as a pleasingly plump fellow with an irresistible, grandfatherly charm. Trained at the Art Institute of Chicago and the American Academy of Art, Sundblom painted wholesome, healthy, vibrant people who became comforting icons during the dark days of the Great Depression. It was hardly a coincidence that Sundblom created another rosy-cheeked icon, the Quaker Oats Quaker, known to millions of breakfast and raisin oatmeal cookie lovers. Coca-Cola poured untold millions of dollars into subsequent advertising campaigns showing Santa delivering toys (and playing with them! ), pausing to read letters and always enjoying a refreshing Coke. Santa may not be the only reason for the season, but the jolly red-suited fellow has spawned a cottage industry that will employ thousands of Santa imitators this yuletide season, and, at least, one historian hoping they’ll stay true to the Santa code. On December 13 at 3 p.m., Nat Read will appear at the Maury Smeltzer Lounge at Hillcrest, 2710 Mountain View Dr., La Verne, as the guest of the La Verne Historical Society. He will speak on “The Real History of Santa Claus. The talk is free and open to the public. For the truth and Real Dirtt in real estate, seek out one of Santa’s key helpers, Colleen Bennett, Sotheby’s Int’l Realty,(DRE#01013172) longtime La Verne Realtor. 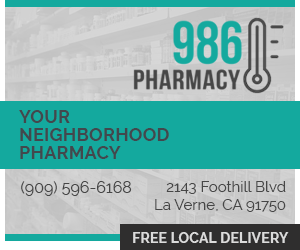 You can reach her at 626.344.0907.